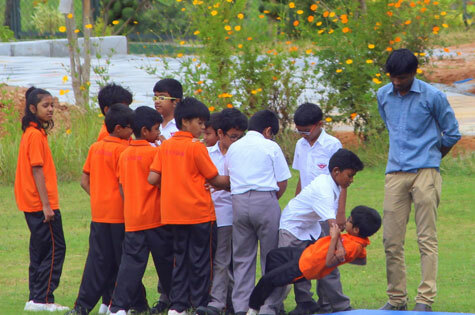 Candor school campus is spread over an area of 25 acres, which includes a 6 acre Organic Farm. The school has an Administrative wing, a Kindergarten wing, a Primary and Middle wing, and a Secondary wing. Entire Candor campus has Wi-Fi internet connectivity. The school also has boarding facilities for boys and girls above 10 years old. Candor school campus, classrooms, play and sports areas, music studios, labs, libraries, dorms and cafeteria are all designed to be student friendly, age appropriate, safe and attractive. Heights of tables, chairs, counters, washroom equipment, have been carefully planned and includes ramps wherever needed. The classrooms are designed with safety in mind and every classroom has emergency exits in case of eventualities like an evacuation. As Candor is a green school, classrooms are designed to maximize natural lighting and ventilation. Each classroom is provided with an LCD projector, a white board and space for displays. For the primary section, the furniture and equipment have been chosen with utmost care and every room is provided with classroom resources necessary for each grade level. Candor has separate well stocked libraries for Primary, Middle and High school. The libraries are supported by qualified teacher librarians, are well lit, ventilated, user friendly with browsing areas, reference sections, periodical sections and general sections. All students are oriented on how to use the Library. Besides the print library, the school has numerous digital resources (iPad School). Candor school library is a place where students and the staff are always welcome to use the available resources. 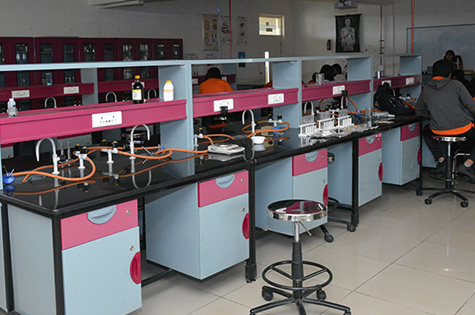 The school has four spacious, well equipped, ventilated Science Labs to deliver the requirements of the IGCSE and IB curricula. In addition to the conventional Science Labs, Vernier technology is used as part of the experimental process. Qualified, experienced and technically trained teachers manage the labs and ensure that all safety measures are followed at all times. 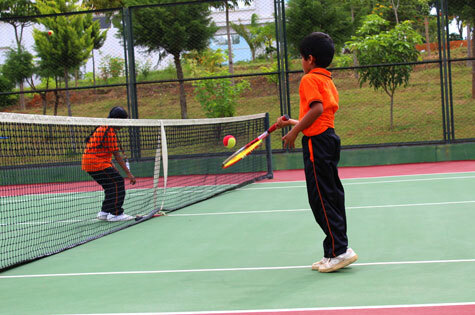 Candor has excellent sports facilities, which includes indoor and outdoor games. Candor school cafeteria provides freshly cooked, nutritious and balanced vegetarian and non-vegetarian meals to all students and staff. 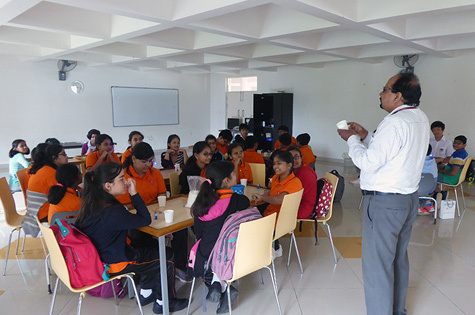 The school kitchen has two separate areas, one to prepare vegetarian food and the other to prepare non-vegetarian food. 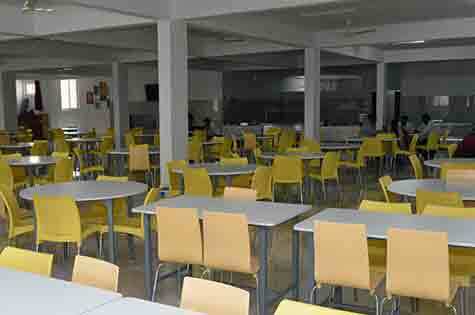 High standards of cleanliness and hygiene are maintained both in the kitchen and the cafeteria. Day scholars are given breakfast, mid-morning snack and juice, lunch, and afternoon snack and juice. Boarders get an early evening snack, a good supper and a bedtime hot/cold drink/fruit. The menu includes dishes that represent the countries our students come from. Candor has a full-time nurse and two doctors from White Cross clinic are always on call. 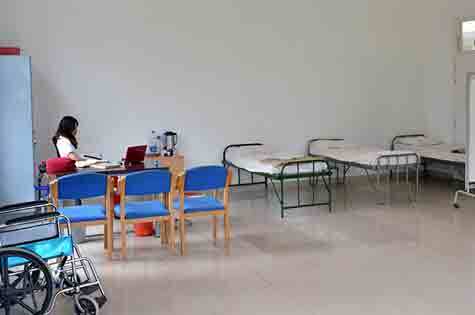 In the case of an urgent medical need, Candor students are taken to the top hospital for treatment. 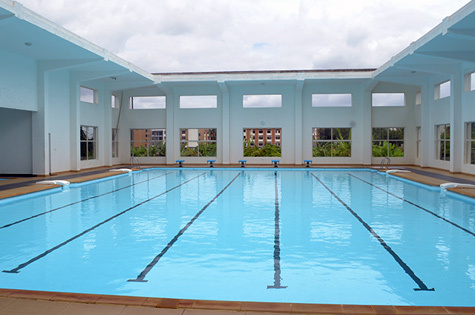 Candor provides separate and safe residential facilities to boys and girls from grades 5 to 12. 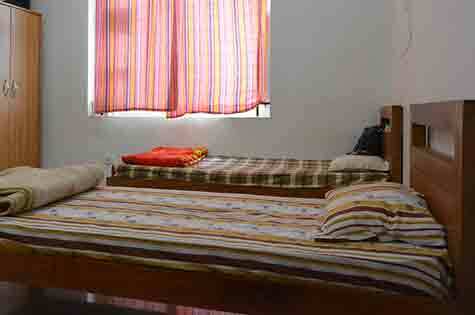 The dorms are designed and organized in such a way that they provide a homely atmosphere. The dorms have a social room with a television and a kitchenette for students to cook instant food. Laundry facility is also available in the dorms. Experienced and caring dorm parents are appointed to look after the boys and girls. 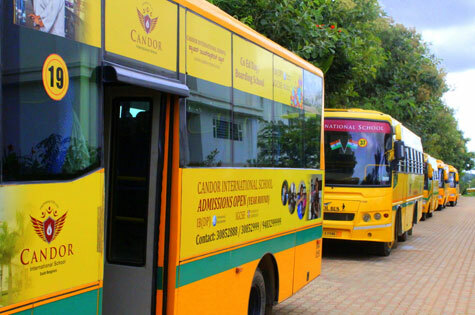 Candor operates comfortable AC bus service to take children to and from the school. These buses are fitted with GPS technology to track their movements and to inform the parents about pickup, drop-off and delays through SMS.